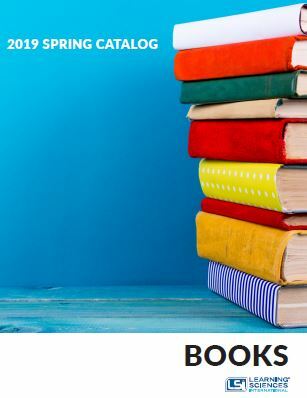 LSI's publishing department offers a wide array of pedagogical titles from practical instructional guides for teachers to in-depth publications on the latest educational research for school and district leaders. Schools define themselves by metrics, but when we dig down into the numbers, questions remain. This book answers these questions and more by revealing how schools of all shapes, sizes, and socioeconomic and academic backgrounds can achieve real faculty and student growth. How? By implementing rigorous instruction in the classroom and empowering school leaders to establish and grow a vision of excellence that involves both teachers and students. In today’s classrooms and schools, rigorous instruction and learning don’t just happen by accident. Teachers must be willing to pay close attention to their learning environments. Without the appropriate conditions in place, consistent levels of rigorous instruction, learning, and performance are unachievable. Therein lies the practical magic of this final Essentials guide. 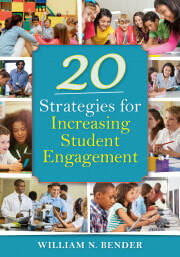 It provides activities, insights, and templates for five strategies for teachers of all grade levels and subjects. Students have an endless capacity of positive energy that can be harnessed into deeper understanding. Renowned education expert Ron Nash shows how to harness this energy by involving students as active participants in their own learning. His humorous first-person narrative shows how to encourage face-to-face conversations among students, put students first, em-brace (and leverage) mistakes, create a habit to stay positive by monitoring one’s own energy levels, and more. There is no simple solution to school improvement that works in every classroom every time—but there are district-wide measures that can improve the odds of success. In this new book from the foremost authority on formative assessment, Dylan Wiliam analyzes the three improvements proven to be factors in school success: building a curriculum focused on developing knowledge, supporting a culture where every teacher improves, and applying a framework for evaluating new district initiatives. In today’s rigorous educational landscape, even the most effective teachers must work to polish their skills and practice. In this practical guide, leading education expert William N. Bender offers a wealth of ways to develop intensive, atten-tion-grabbing instructional techniques that foster high levels of student achievement. He provides practical examples, guidelines, and the research behind his teaching tips to help educators focus on specific strategies for engaging students in the classroom. As a capstone to the Marzano Center Essentials for Achieving Rigor Series featured on the next page, this guide gives teachers a big-picture view of the Essentials model and its research-based strategies. Its valuable tips and guidance empower educators and leaders to increase classroom rigor and transform their schools into thriving, sustainable communities of practice. Time constraints and heavy workloads can make the transition into STEM instruction difficult. This book offers practical advice, supported by research evidence, to help teachers integrate project-based learning with STEM, modify strategies to meet the needs of each learner, use engineering design principals to focus on real-world problems, and emphasize teamwork and collaboration around rigorous math and science content. Includes step-by-step guidelines for teaching strategies that strengthen STEM instruction. This book provides a detailed framework to help school leaders promote literacy instruction to improve and deepen learning. The authors discuss ways to build trust with teachers to enhance school culture; help teachers use data to improve instruction; and ensure that everyone maintains a focus on lifelong learning. The authors explain the coaching observation cycle, explore facilitation techniques for providing meaningful feedback and supporting teachers as they improve literacy learning for all students. How Do We Really Know They're Learning? Teachers tend to avoid assessments that are difficult to grade, but these assessments are often the only way to know how well students are learning. Tate describes the theories behind various assessment types and addresses ways to create brain-compatible learning environments that foster high achievement. She guides educators in identifying where to begin in the formative assessment process and how to proceed as they develop expertise in different assessment areas. Leading education authority Dylan Wiliam explains how formative assessment, when applied properly, helps to increase student achievement. He presents compelling research about changes in classroom practice that are likely to increase learning, differentiated instruction, response to intervention, group leadership’s role in ensuring productive collaboration, and integrating formative assessment into teacher evaluation. Technology is transforming the human brain, and students are engaging with new information in different ways. Written for educators striving to understand technology's impact on the young brain and to prepare today's learners for an increasingly advanced future, this book by bestselling educational neuroscientist David A. Sousa looks at how technology changes the way young people's brains function and how educators can adapt instruction to keep them motivated to learn. Effective disciplinary strategies are essential in every classroom so that all teachers can manage difficult situations. With an emphasis on recent issues and trends, Bender offers practical tips for putting advanced disciplinary strategies to immediate use in the modern classroom and describes the research foundation for each tactic. Teachers and administrators working in all subject areas and grade levels can quickly adapt these strategies to meet their needs and improve their classroom management practice. Students must know how to record and represent what they've learned to effectively interact with new knowledge. With this instructional guide, part of the Essentials for Achieving Rigor Series (see next page), teachers learn strategies to help students summarize what they've read, analyze text for specific charac-teristics, and write about the content succinctly to demonstrate their understanding. Do your students know which content is most important to learn? To meet rigorous academic standards, students must become adept at determining which content is critical, why it is important, how it connects to their existing knowledge, and when it will inform their future learning. Based on the earlier work of Dr. Robert J. Marzano, Identifying Critical Content: Classroom Strategies to Help Students Know What is Important provides explicit steps for implementation and monitoring students’ ability to identify critical content. It includes adaptations for various student populations, examples and non-examples from classroom practice, and strategies to avoid making common mistakes. ​Can your students understand and even generate performance scales? Academic standards call for increased rigor, but simply raising complexity is not enough. Students need to be able to understand learning goals, embedded in performance scales, which include application of knowledge. They should even be capable of generating their own learning scales. In turn, teachers must become adept at providing rigorous learning goals and planning and scaffolding instruction to meet students’ needs. Academic standards call for increased rigor, but simply raising complexity is not enough. Students must also be able to examine similarities and differences within the critical content they are learning. They need to know how to use comparisons, classifications, metaphors, and analogies to generalize, draw conclusions, and refine schema, ultimately deepening their understanding of the content. Author Toby Karten summarizes the reasons and research behind Common Core State Standards and other initiatives and offers recommendations for using research-based inclusion strategies, instructional supports, monitoring, reflection, and collaborative practices to give all staff and students a step-by-step, outcome-based formula. Karten highlights the ADMIRE strategic approach, focusing on ways to assess, activate, decide, delineate, model, monitor, instruct, involve, reflect, revise, engage, and enrich students and staff with the standards. ​Many educators see iPads only as game stations or replacements for notebooks and textbooks. In iPads in the Classroom, authors Tom Daccord and Justin Reich explain how iPads present a tremendous opportunity for teachers to rethink the design of learning environments to best suit the needs of their students. This book isn’t about how to click on apps; it’s about how to transform schools and change students’ lives with differentiated, meaningful, purposeful learning that helps them develop the real-world skills they’ll eventually need for the working world and civic life in the decades ahead. What does it mean to lead in a learning environment, as opposed to a system of knowledge transmission? A community, as opposed to a bureaucracy? A customer-oriented organization, as opposed to a public monopoly? To create truly powerful learning environments, school leaders must focus the lens on leadership, school improvement, and leadership for school improvement.